2018: A Year of Record Revenue & Growth! Continuing to build our brand & infrastructure was a major goal in 2018, as well as engaging franchise candidates who would like to join our Shear Madness family! We continued to build out our intranet site and make it a valuable hub of information for our franchise partners. Our intranet site houses our proprietary and award winning training manuals and modules along with housing our franchisee friendly library of marketing materials. Additionally we redesigned our website to make it more mobile friendly and usable for customers looking for our locations, as well as to capture and inform more franchise candidates on our award winning system. After our redesign we had a top rated franchise media company grade our website and it received high marks for usability and overall appearance. 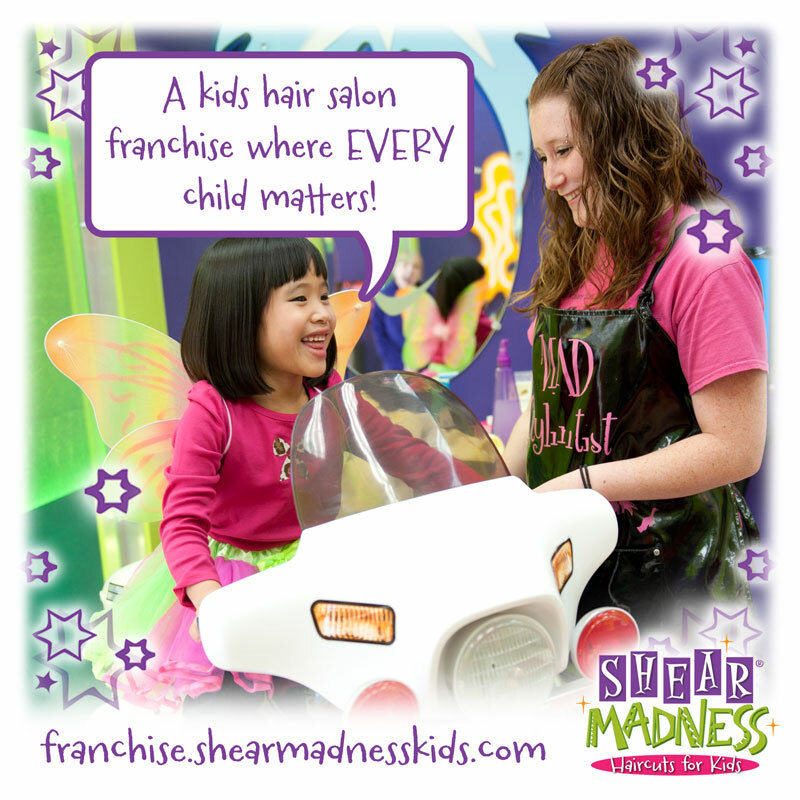 You can visit it at Shear Madness Franchising. Let us know what you think! As with most franchise systems, building our brand is a constant goal. 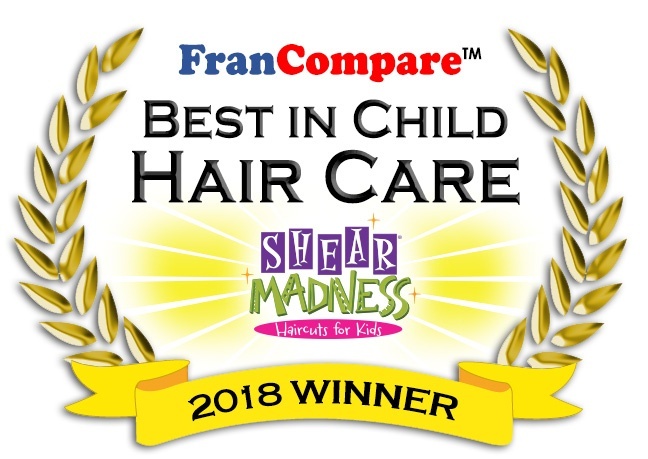 In 2018 we were awarded the Number One Children's salon franchise in America by Francompare, an independent rating service based in Oakland California. Francompare uses a sophisticated 45 point rating system when grading franchises and has an exhaustive database of franchise disclosure documents that they comb through before they give out their franchise winners. We look forward to 2019 and to continue to build on what is most important to us: being selective in our franchise awarding process and awarding franchises to those candidates that understand our culture. Equally important to us is giving our current franchisees the ongoing support, training and marketing assistance that they need to be successful. We also strive to create an over the top customer experience. At Shear Madness Haircuts for kids, Where Every Child Matters is more than just a slogan, it's what we believe in and why we do what we do. It's why we exist! We're confident that 2019 will be our best year ever! 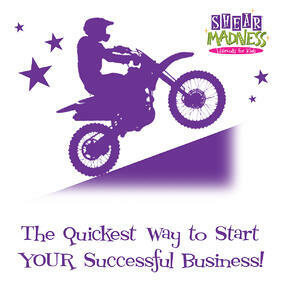 The Quickest Way to Start YOUR Successful Business! * Build Out Assistance - If the franchise that you are looking at is "turn-key", then all of your furniture, fixtures, supplies and architectural plans are provided. This allows you to get open sooner! And when you get open sooner you start to produce revenue faster, which allows your working capital to last longer. * Training - Think about it, can you think of ANY job that doesn't take some training? Then why do potential business owners make the mistake of thinking they can open a business and run it on the fly without any knowledge of how it works? And one more thing...doesn't it make sense to drastically reduce your learning curve? If it does, then I would strongly consider a franchise vs going it alone. * Ongoing Support - As a business scales it needs to be able to handle more and more volume without harming the customer service or experience. Being able to call your Franchisor for guidance with questions (like when to add additional staff and other important issues) when your business is growing is a big advantage of being part of a franchise system. * Marketing - Almost always when you research on some of the reasons that businesses fail, you'll probably discover that ineffective marketing comes up in the top 5. A well run franchise should be able to tell you the most effective ways to get your customers through the door and get people talking about your business. One of the biggest challenges that you will face in business is ramping it up quickly! When your business starts off strong and ramps up quickly, it will take a lot of the stress off of you as the owner and will allow you to scale the business. Because of the past experience and systems that are associated with a well run franchise, franchising offers a huge advantage over going it alone! May 2018 Newsletter: A Madtastic May!!! A Flower for Mom! 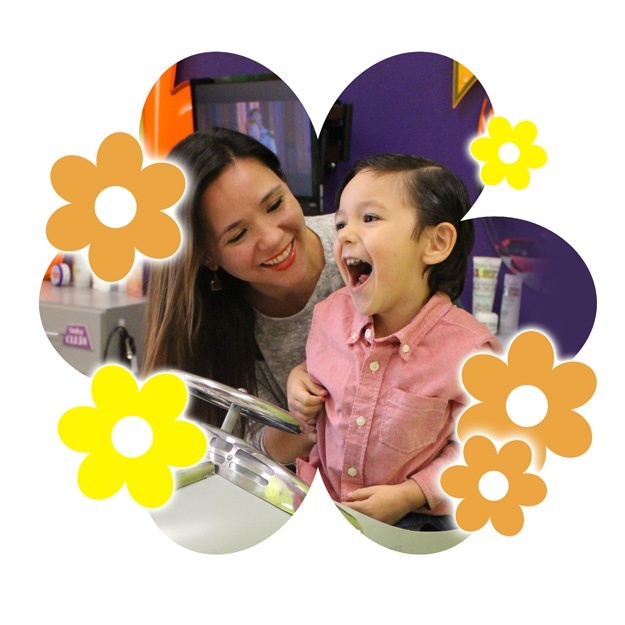 Remember to surprise mom with a flower for her on Saturday, May 12th at Shear Madness Haircuts for Kids! Also don't forget that our store will be closed on Mother's Day to honor our hair stylists (most of them are awesome Moms too)! 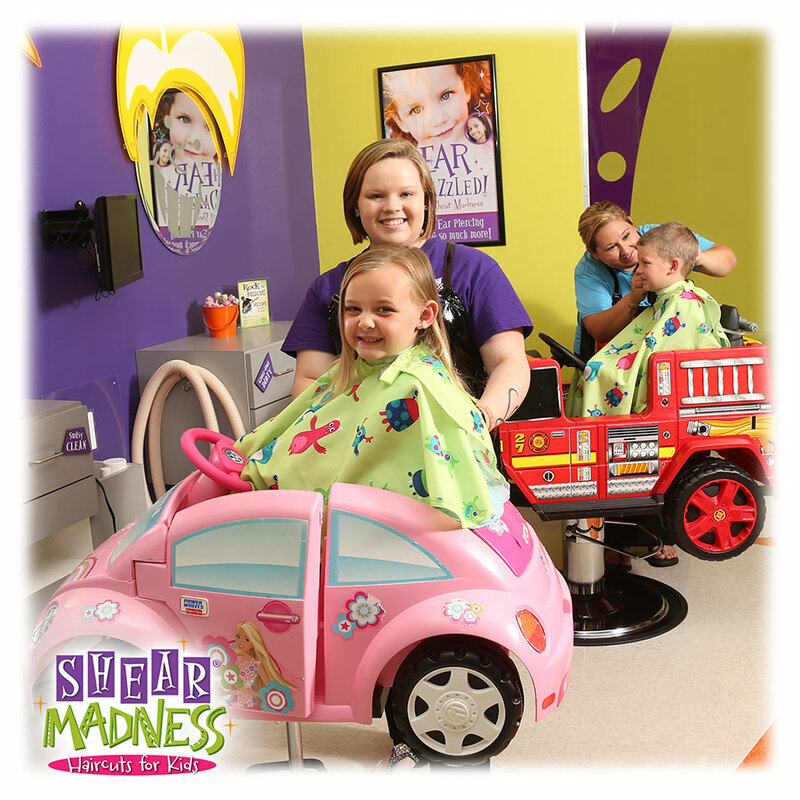 Shear Madness Haircuts for Kids appreciates all our AMAZING Mothers out there! You all are great! Honoring Soldiers and their Families! 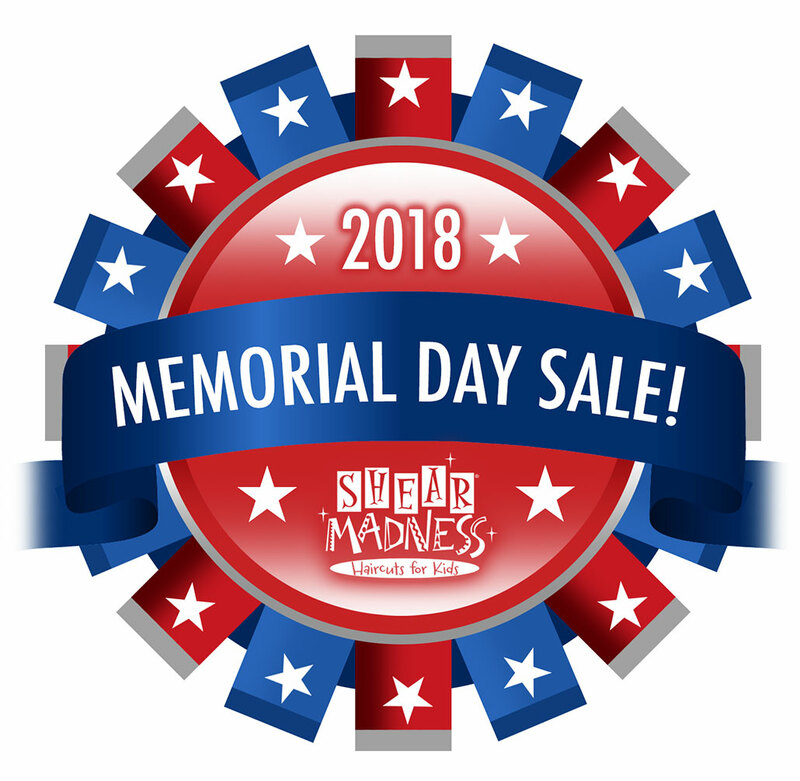 At Shear Madness Haircuts for Kids, we're offering some extremely amazing specials as a way to remember fallen soldiers and their families on Memorial Day (at participating locations). What are they? Well, just be sure to watch for our e-blast, which will have all the details about these cool and exclusive sales! If you'd like to know more, as always please click here for our locations page, and contact us today! Get Ready for Summer! Summer will soon be here, and Shear Madness Haircuts for Kids is ready to help you look and feel your best at the pool with our great sale on summer-time hair care products. For example, you can save 20% off our great Swimmers Shampoo products - all KID SAFE and FRIENDLY! So come in before heading to the pool, and check out how to stay super cool this summer! Help Make a Positive Difference! A Shear Madness Internet Extravaganza! We Love Having Fun Online Too! Do you love funny kids jokes, cool crafts, great photos and awesome events for kids? If so, be sure to follow us on Facebook, Instagram, Google+, Tumblr, Pinterest & Twitter for all this and more! You'll also want to check out our many madtastic updates over on our Franchise Blog, where we post helpful tips and insightful articles on growing a small business and so much more. Don't miss it! SUPER Spring-Time Savings! 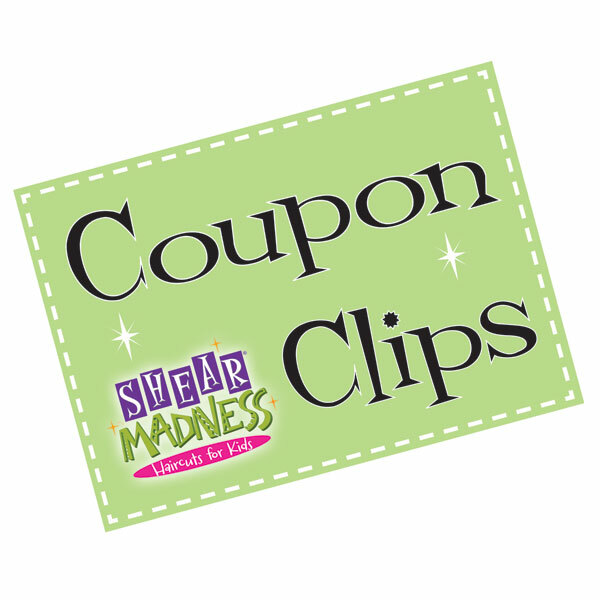 Check out our coupons page for amazing deals like $5 off a formal updo, $1 off a die cast pull back car or 15% off a hair care product! So now you can look and feel your best, and save a little dough while you're at it too! Plus, don't miss another cool coupon exclusively on our our coupon page (at participating locations). Have a great May! Hooray for Family Fun! 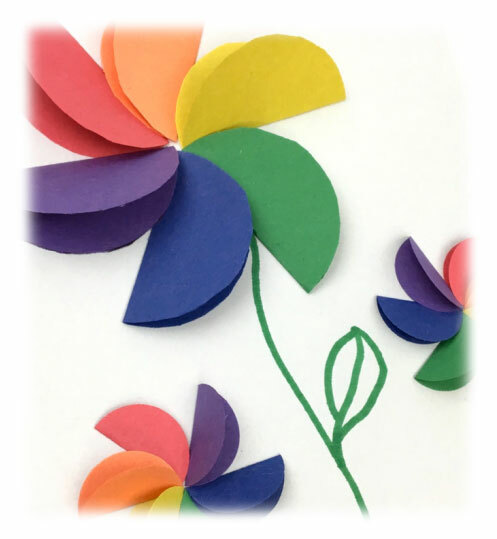 It's Spring, which means it's time for barbeques, outdoor games and crafting with the kids! Don't miss our Crafts for Kids section on Pinterest, and learn how to make this beautiful jeweled suncatcher out of a music CD (as seen at left). Plus, discover how to craft a milk jug igloo, an awesome glitter sensory jar for kids, a super fun marble maze out of straws and a cardboard box, funny honey bee planter sticks, wooden spoon puppets, and so much more!